Neopets Premium is not a new service. It is one that has been around since 2005. However, until recently, the Premium service had remained virtually unchanged for seven years. In late 2011, The Neopets Team announced changes were coming to Premium. Subscribers could expect more benefits, an updated interface and a better gaming experience. The new Premium service launched officially on Monday June 11, 2012. One of the main reasons for the update was to eliminate the need for third-party involvement with the Premium service. Prior to the change, certain aspects of the service were handled by seperate companies. 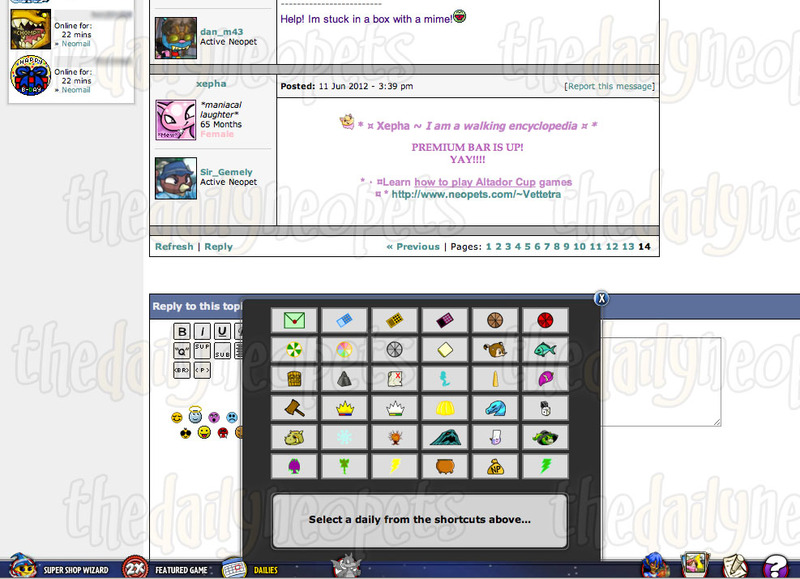 Neopets Webmail was one of the features to be removed. With the old service, users could create a user@neopets.com email account (different from NeoMail) in which they could send and receive email from all non-Neopets email addresses. As this was handled by a third-party company, the feature was removed. Similarly, the option to sign up for dial-up internet serice with your premium account was also removed. With these changes, the option to create aliases was removed as well. Users with a premium account used to be able to have an additional account (usually a side) with select premium benefits (the ones that didn't grant items or neopoints) like an additional webmail account, access to the portal and no advertisements while browsing Neopets. Last but not least, users used to be able to get the Neomail Addict avatar automatically by signing up for Premium. This is no longer the case, and the only way this avatar can now be obtained is by sending Neomail. Another change that happened was a change in the sign-up and billing process. The simplest way to sign-up with the old service was to receive a referral from another premium user. 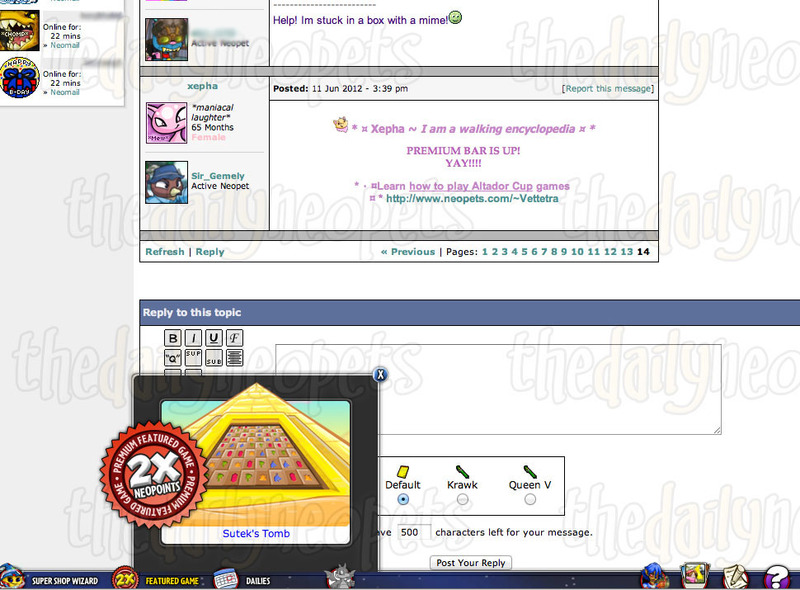 After the billing was changed to be processed directly by Viacom (the company who owns and operates Neopets), users noticed that there are no longer links to refer new users. With the removal of the referral system, referral prizes were also removed. 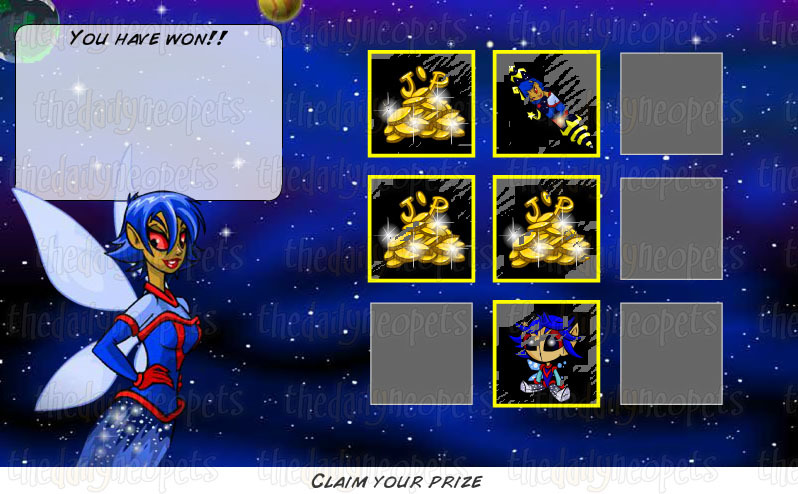 For referring a specified number of users who then signed up for the service, players were granted rewards in the form of neopoints and items. While the referral system seems to have disappeared for now, an "upgrade" to this system was mentioned when the Premium update was announced, so it may be re-activated in the future. In addition to the features Neopets removed on their own, they also conducted user surveys to find which features Premium users found most useful and which they thought the service could do without. The portal feature was one of the things users indicated as a non-essential perk. Some of the features were glitched, with the news and weather options frequently being wrong, and some were just unnecessary/unwanted, like the random polls, the facts about neopets, etc. The portal feature was removed with the update, with the features that could still be used integrated into the main site. Another main goal of the update was to create a better experience for the user. This included keeping many features but implementing them differently. One of the biggest changes came from the removal of the portal and the addition of the Premium Toolbar. The Wiz still functions the same way, being able to search all user shops (unlike the regular wiz which can only search select groups of shops) to return the lowest 10 prices, all user galleries (if the gallery search option is selected), and the option for a "price only" search, which returns the average price of the 10 lowest prices for the item you searched. 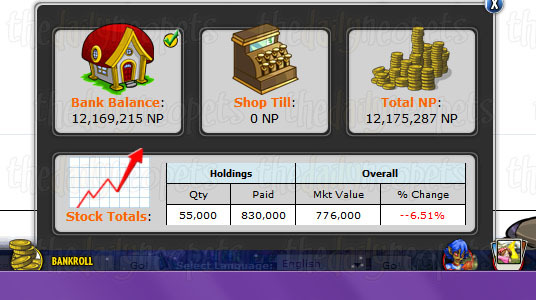 The overlay popup shows you the amount of neopoints you have in the bank, in your shop till, the total of all the neopoints on your account (bank+on hand+till), as well as gives you a quick look at your stock value, while providing quick links to all these areas. The rest of the right side of the toolbar is dedicated to existing services/features to make them more accessible. Next to the Space Faerie icon, users can click to view all of their Premium Trading Cards , one for each month you have been a Premium member. The next link over will take users to the Premium Neoboards , while the last link on the right will bring users to the Premium FAQs . Last but not least, there were some changes to the sign-up and billing process. As mentioned above, the easiest way to sign up with the old Premium was to receive a referral from a current Premium subscriber. With the upgrade, an additional tab was added to the main navigation to manage or sign up for Premium service . Previously, there were only two options for billing, monthy and yearly, with an upgrade being available to add dial-up internet service for a small additional fee. With the new service, users saw the end of the dial-up option, but an additional payment option of a four-month term. A monthly subscription can now be purchased for $7.95 USD (a four cent reduction), a four month subscription for $24.95 USD (saving users $6.85 compared to paying monthly for the same amount of time) and a yearly subscription for $69.95 USD (saving users $25.45 compared to paying monthly). One of the additions was to the Premium Neoboards. Users were noticing a need for some new boards to help keep topics a little more organized. The new service obliged by adding an NC Mall Premium Board for discussing anything related to the NC Mall, and a new Premium Trading and Auctions board for Premium members who "fear the main trading/auction board." When the referral options disappeared with the update, some users were left wondering how the Space Faerie charm, avatar and site theme would be awarded, as they had been awarded exclusively as referral prizes. To the joy of many (and dismay of some), it was revealed that all three were awarded automatically to all Premium members after the update. While the avatar and site theme are solely for graphic enhancement and don't show up in your avatar or site theme counts, the charm is the most coveted. The Lucky Space Faerie Charm has the chance of doubling the neopoints you receive after sending your score in any game. Unlike the featured game that can only be played three times a day (for three guaranteed doubled NP), the charm's powers are limitless. 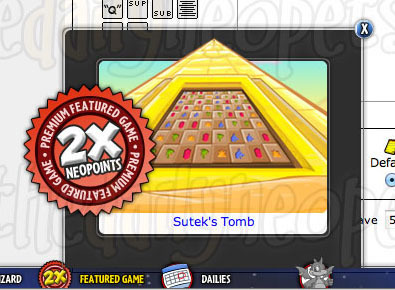 Though you're not guaranteed double the neopoints on every game, there is no limit to how many times it could work throughout the day. In addition to the free training on species' pet days, Premium users can also visit the Swashbucking Academy on their pet's birthday to train that pet for free! Your pet's birthday is listed on their pet lookup. However, the update users were most excited about was the addition of a extra pet slot for Premium users. 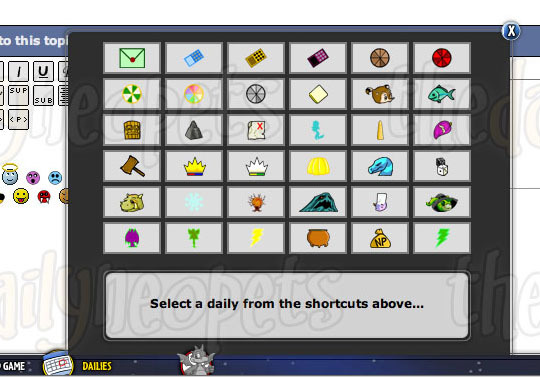 Users could choose to adopt, transfer or, via the grey scorchio button on the Toolbar, create a sixth pet. The sixth pet has all the capabilities of regular pets (battling, customizing, neolodge, etc), but the slot is only open as long as the user remains a Premium user. If the service is cancelled while there are six pets on the account, the user must choose to abandon or transfer one pet (any of the six) before they are able to proceed on the site. However, if the user chooses to pound a pet, the pet is put on "hold" for 90 days. During this hold period, no one will be able to adopt the pet except for the user who abandoned it. In case you change your mind about cancelling, or your service was terminated due to a billing error, you will be able to re-adopt your pet within the 90 day period. After 90 days, the pet will go into the general pound where anyone can adopt him/her. With the addition of a fifth slot for non-premium users (and the max pets for premium users being upped to six), trying to transfer pets to a premium user who already has five pets has been causing errors, even if the person's account is able to have six pets. There's no error when picking up a sixth pet from the pound, but when trying to directly transfer a sixth pet to a premium account, you'll often be met with the error that the person already has enough pets to care for. In the end, users need to weigh the perks of Premium service with the cost. Would you use the service enough to justify paying for it? Are they perks you even like? The Premium service was implemented in such a way to enhance the playing experience without giving paying players a huge advantage while still keeping the site free for those who cannot justify the expense. While no site ads, a Super Shop Wiz, a fifth pet, and other perks are incentives for some, they may not be for others. 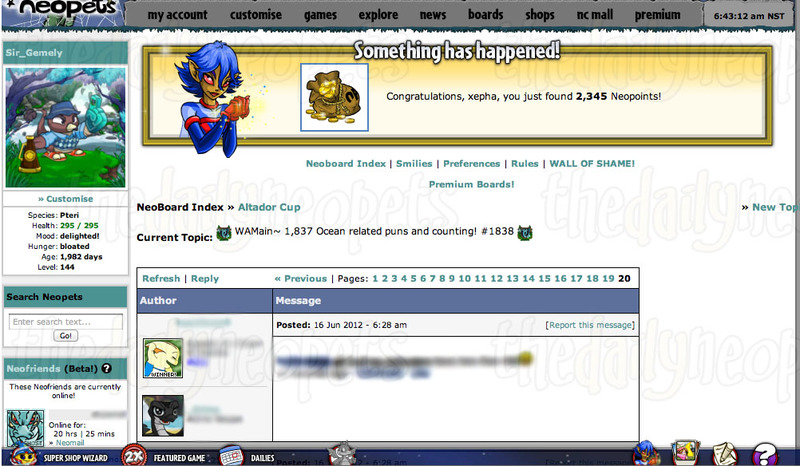 Whatever you choose to do, hopefully our guide gave you a good look into the new Neopets Premium Service. On August 1st, 2018, TNT released another update to the premium service and with it, the addition of three new perks for premium users. 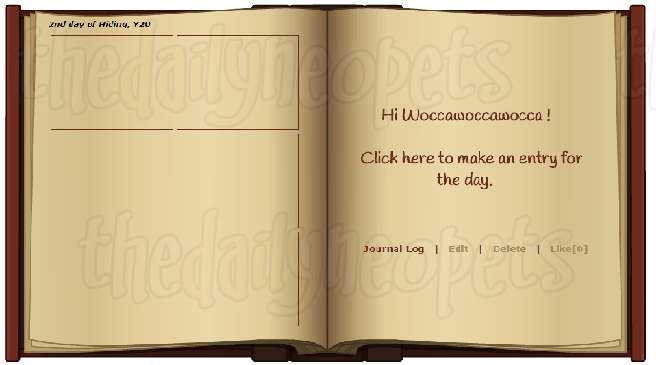 The first new perk is a new journal that can be used to save pet customizations and add comments. People can then look through your journal and "like" your different entries. Entries are sorted by day, and you can add up to six entries per day, which can be edited and deleted once they're posted. 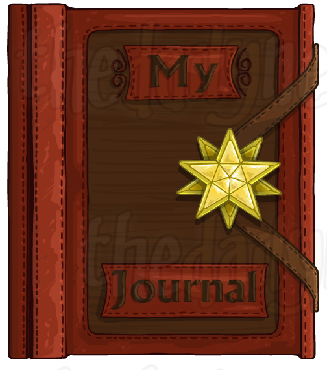 Clicking on the journal cover will then open the journal. The entry will use the current snapshot of your pet's customization. Even if you change your pet's appearance after the entry is made, the picture the entry contains will remain the same. This can be a great way to save different customization looks that you really like and want to remember, or even track things like lab ray changes. 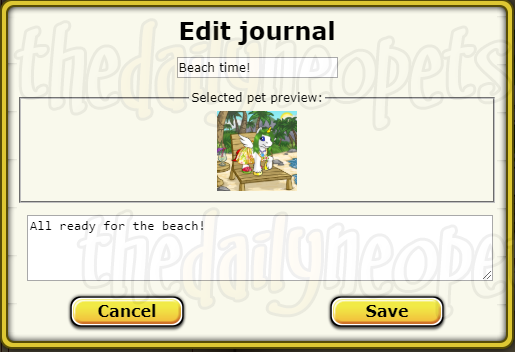 Once you add a title, choose a pet picture and enter a short description for your journal entry, you can save it to your journal where people are then able to view and "like" it. The second perk in the upgrade is a slightly expanded gallery. Whereas non-premium users are able to have a maximum of 20 different gallery categories to sort their items into for easier organization and viewing, premium members will now be able to create up to 30. As always, the total item limit of everything in your gallery in all categories is still determined by your gallery size. From there, you can use the arrows to select the pet you want to change, and then the dropdown menu to select the new species. The chosen pet will change into the species you chose with the colour of the original pet if it's available for the new species. So If I'm changing a Maractite Uni and select the new species as Xweetok, the pet will be changed into a Maractite Xweetok. If your pet is a colour that isn't available for the species that you're changing it into, you'll be prompted to pick a new colour for the new species as well, and will be able to select any colour that's currently available to the new species. As of now, it appears that lab ray-exclusive colours are also included, so if you have a chocolate pet, for example, you'd be able to change it into a chocolate pet of another species, so long as chocolate is an available colour for that species, as well as be able to select chocolate as an option for your new species if it isn't available in the colour of the pet that you're changing. It appears that Krawks and Draiks are exempt, as they do not appear in the list of options. You can change an existing Krawk or Draik that you already have, but cannot choose to change a different species into a Krawk or a Draik.